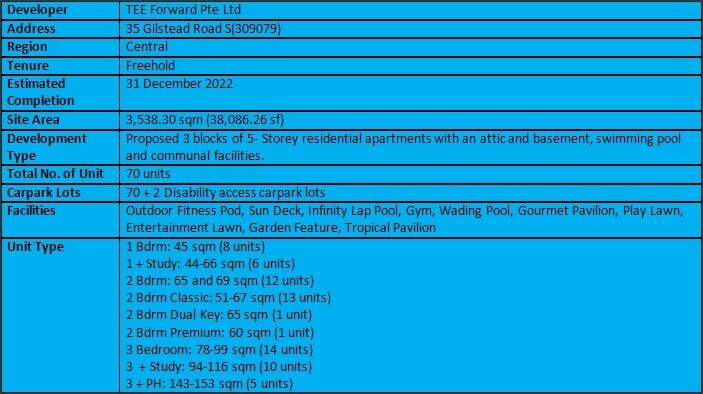 35 Gilstead is an upcoming residential development that is located in Newton area, Core Central Region of Singapore. The site of it is along Gilstead Road and it is bounded by St James’ Church Kindergarten (Gilstead) and Newton Mansions. It is also next to Gilstead Brooks. The site of 35 Gilstead previously belonged to Casa Contendere, a 4 storey block which had hosted 11 maisonette units. It was successfully acquired by local property developer TEE Land in a collective sale exercise in November 2017. 35 Gilstead has a total site area of approximately 37,972 square feet and a gross plot ratio of 1.4. The land tenure of this development belongs to freehold and in one of Singapore’s most exclusive private residential enclave. 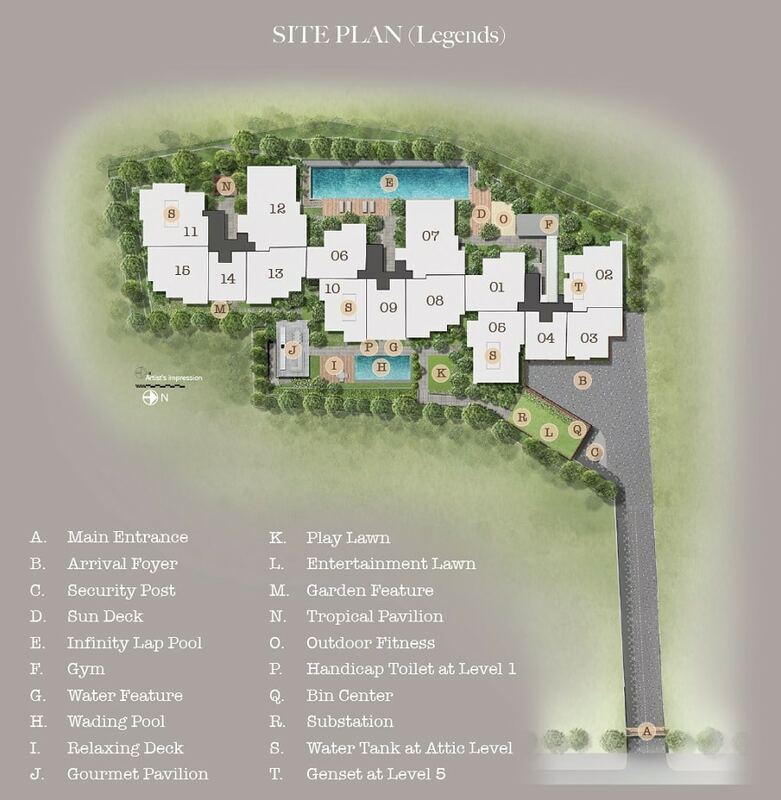 Other developments that are within 35 Gilstead’s vicinity include Goodwood Residences, Residences @ Evelyn, Lincoln Suites, Newton Suites, 26 Newton, Liberte, Suites @ Newton, Rochelle at Newton, Park Infinia @ Wee Nam and also Newton 18. 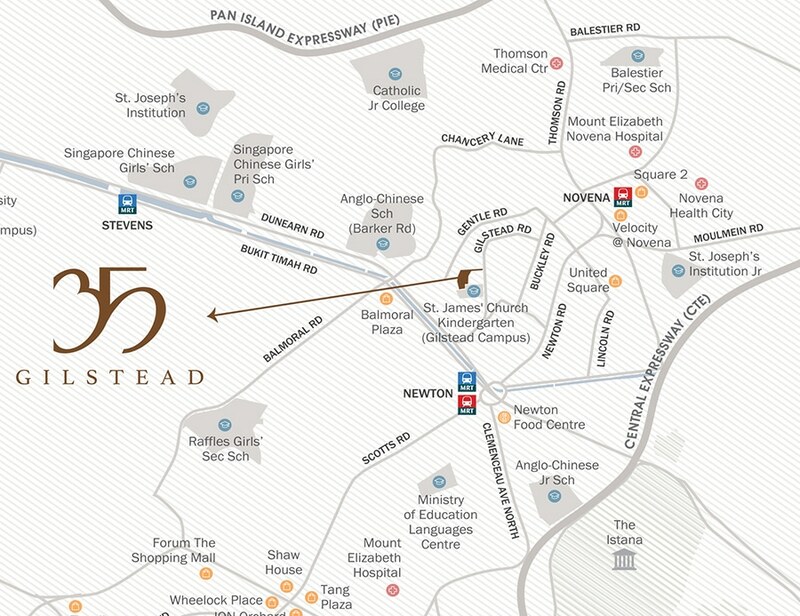 35 Gilstead is approximately 500 m away from Newton MRT Interchange Station and it will take its future residents approximately 6 minutes’ walk to arrive at the station. The MRT Interchange operates both the MRT North South Line as well as the MRT Downtown Line. Future residents of 35 Gilstead just need to travel on the MRT North South Line toward Marina South Pier MRT station direction for 1 stop to arrive at Orchard MRT Station and also 5 stations to arrive at the City Hall MRT Station where the MRT East West Line is also readily available. From the MRT Downtown Line, future residents of 35 Gilstead just need to travel 1 station towards the Expo MRT station to arrive at the Little India MRT Interchange Station where they can seamlessly transit to the MRT North East Line available there. As for drivers, it will take them approximately 13 minutes of driving to arrive at the Central Business District (CBD) and it is just 5 minutes’ drive to the Orchard Shopping Belt. The development is also very close to the Central Expressway (CTE) which can link to the Pan-Island Expressway (PIE), the Seletar Expressway (SLE) and also the Ayer Rajah Expressway (AYE). 35 Gilstead is just approximately 3 minutes’ walk to the nearby Chancery Court where the supermarket is located which gives them easy access to groceries and daily necessities. Many dining and shopping amenities are also within reach as it is just walking distance to the Novena Shopping Cluster where the United Square, the Velocity @ Novena Square and Square 2 are located. Alternatively, its future residents can also head down to Singapore’s main shopping belt, i.e. Orchard Road which is just 1 MRT Station away. The convenience of having these amenities within short radius makes it attractive for home buyers. Besides these, 35 Gilstead is also walking distance to the Newton Food Centre where numerous famous local food stalls are located, providing delicious and economical local delights to future residents. 35 Gilstead is also close to many good schools. Schools such as Anglo Chinese Primary School, Saint Joseph’s Institution Junior, Anglo Chinese Junior School, Balestier Hill Primary School, Singapore Chinese Girls’ Primary School, Farrer Park Primary School, Saint Margaret Primary School, CHIJ Primary School (Toa Payoh), Anglo Chinese School (Barker Road), Singapore Chinese Girls’ Secondary School, Raffles Girls’ Secondary School, CHIJ Secondary School (Toa Payoh), Catholic Junior College are within short radius from the development. 35 Gilstead is also close to various international schools such as Eton House International School (Newton), Italian Supplementary School, Chinese International School, Eton House International School (Claymore), Chatsworth International School (Orchard Campus), SJI International School, ISS International School (Elementary & Middle School Campus), Swedish Supplementary Education School and also Finnish Supplementary School. Serenity – 35 Gilstead is located in the quiet private residential enclave. 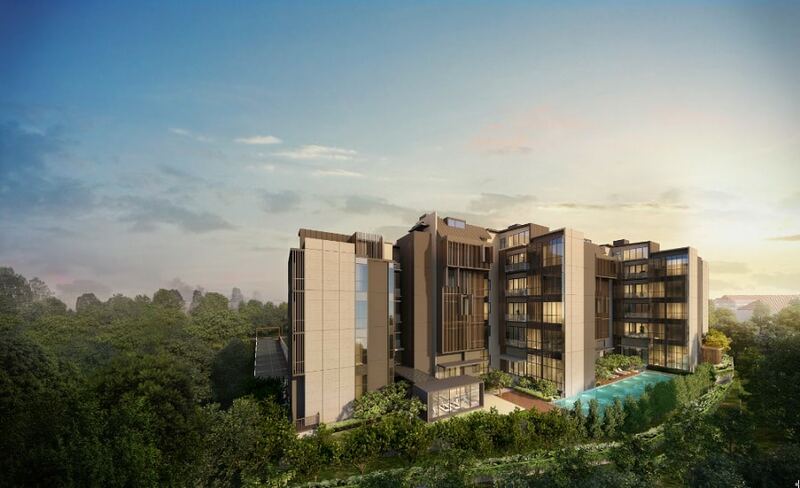 Exclusive – 35 Gilstead is resides in one of Singapore’s most exclusive area. Amenities – Many dining and shopping amenities are within walking distances. Family Living – It is surrounded by numerous good schools. Want to be a proud owner of a unit in 35 Gilstead? Thank you for your interest in 35 Gilstead!